The trailer of Vivek Agnihotri-directed The Tashkent Files released on Monday and here's how the director summed up the film's story-line: "Friends, the film you've been waiting for: The man you know... The mystery you don't! The Tashkent Files." From the trailer, the film is a fictional representation of the functioning of an enquiry committee that probes into the death of former Prime Minister Lal Bahadur Shastri. Lal Bahadur Shastri was the second Prime Minister of independent India and died under mysterious circumstances in January 1966 in Tashkent (now in Uzbekistan), a day after signing the Tashkent Agreement, which formally ended the Indo-Pakistan war of 1965. 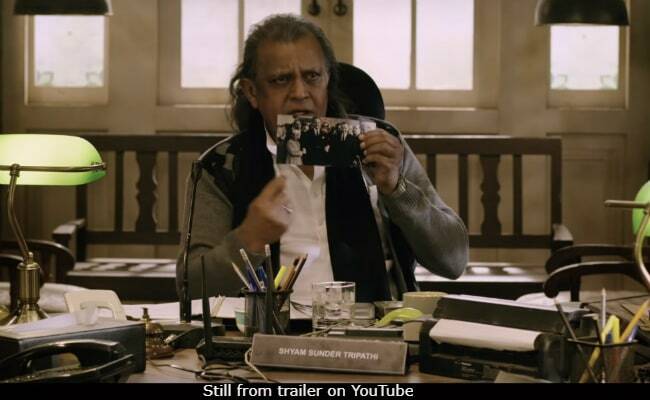 The trailer of The Tashkent Files appears to be set in current times with a cast comprising names such as Mithun Chakraborty, Naseruddin Shah, Shweta Basu Prasad, Pallavi Joshi, Pankaj Tripathi, Rajesh Sharma, Mandira Bedi and others. The trailer begins with Shweta Basu Prasad receiving a pen drive, which appears to have classified information crucial to Lal Bahadur Shastri's mysterious death. As she begins her hunt for the truth, the trailer is interspersed with speculative suggestions that point towards one things - Mr Shastri's death is one of India's biggest political coverup. Lal Bahadur Shastri's death was initially reported to be because of a heart attack but it is also debated to be related to him knowing whereabouts of Netaji Subhash Chandra Bose. The Tashkent Files has been written and directed by Vivek Agnihotri, who has films such as Hate Story, Buddha In A Traffic Jam and Chocolate on his resume. The Tashkent Files is slated to hit screens on April 12 this year, just two days after another political film PM Modi releases.